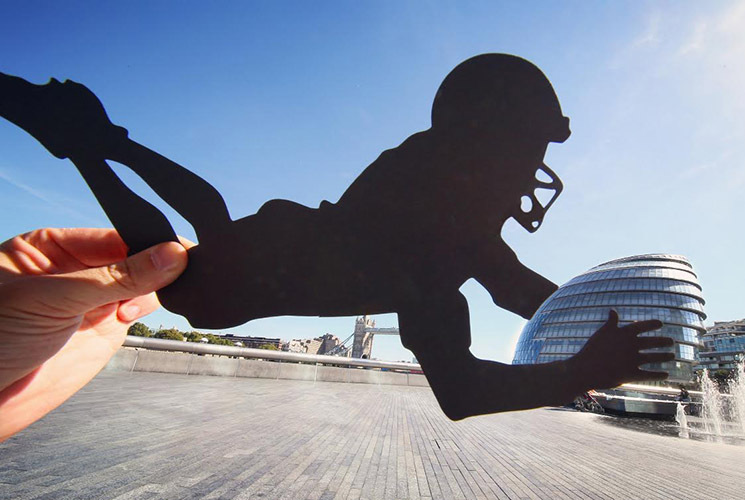 Rich McCor also known as @paperboyo has a special skill, he creates art using his surroundings, a camera and paper cutout silhouettes. Some of the things he comes up with blows my mind such as the first image seen above. Keep reading to learn more about this fantastic artist. 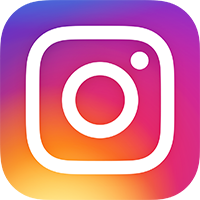 What made you start using Instagram? 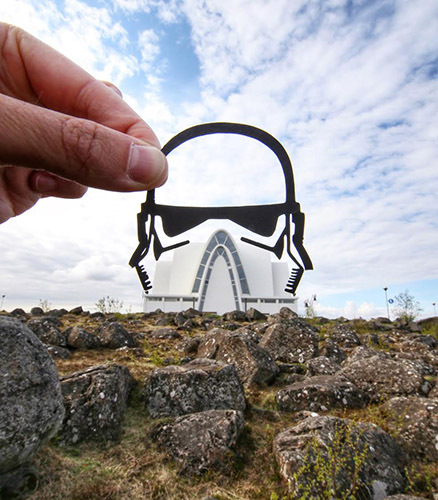 Your creations are incredible. 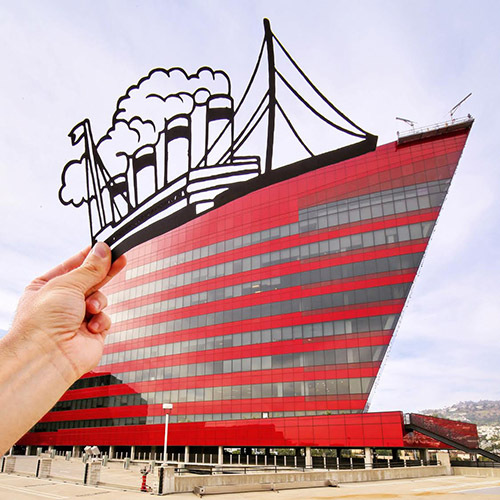 How do you come up with such artistic visions of your surroundings? 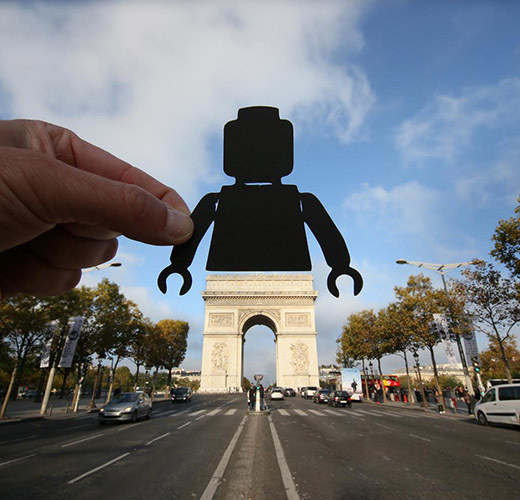 Does it take you a long time to make your paper art? What’s the favourite picture you’ve made? Which places have you enjoyed visiting the most so far? 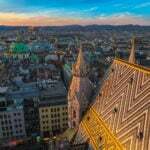 Which places are you just dying to visit in the future? Anything exciting planned for 2017 that we should look forward to? You can now find the book (Around the World in Cut-Outs ) on Amazon. 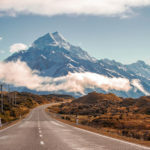 Can you share a few of your photographs below? Do you sell prints of your work and if so where can we find them? Someone once described me as a non-destructive vandal which I quite like. 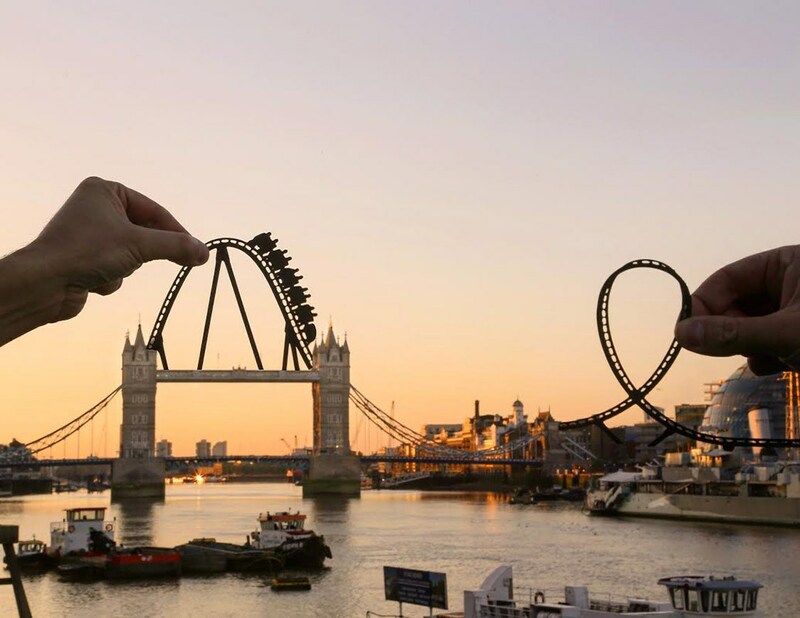 Within the confines of a camera viewfinder I transform known, and some not so well known landmarks around the world with bits of crafted black card. Thank you for providing an insight into your creations. We are looking forward to seeing more of your work and your upcoming book. If you would like to see more of Rich’s amazing work, head to the links above in his bio. 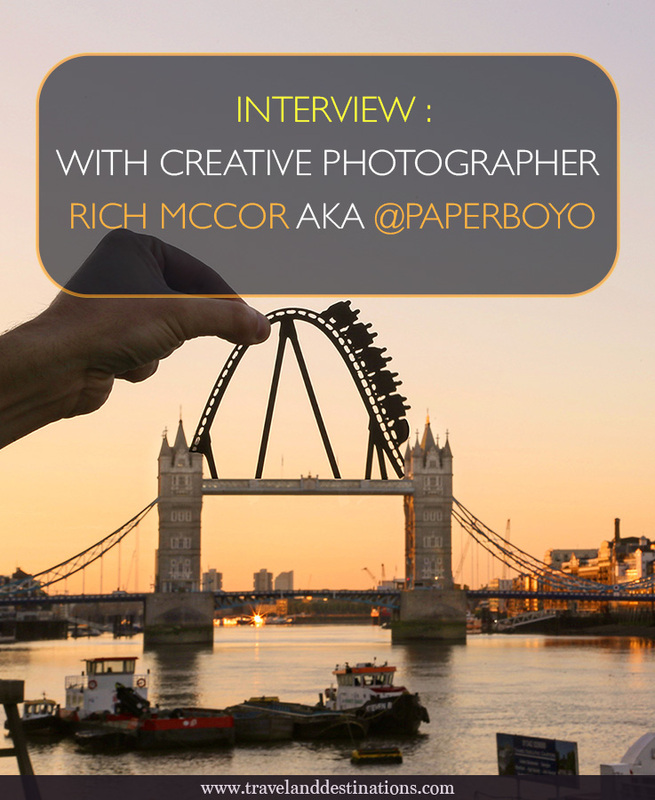 Hey Buddy!, I found this information for you: "Interview with Creative Photographer Rich McCor aka @paperboyo". 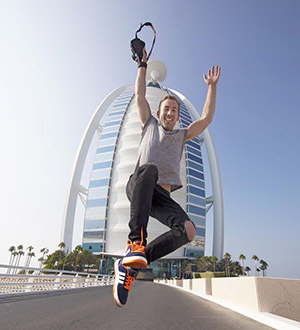 Here is the website link: https://www.travelanddestinations.com/interview-highly-creative-photographer-rich-mccor-aka-paperboyo/. Thank you.